fly down a ski course. He can run fast and think hard. He can think fast and run hard. He is still a little boy, yet almost a little man. Thanks, Pamela. My uncle is responsible for the photography…but I’m responsible for the boy! A lovely tribute to your son. There’s a short story or maybe even a novel springing from that photograph. A novel in which a mother speaks in her chapters and the son in his. You have two characters. Now of course you need plot and setting and suspense. How’s that for a winter project? Dee, you’re amazing. I love that idea! And of course, I DO need another project! Thank you, Kathy. 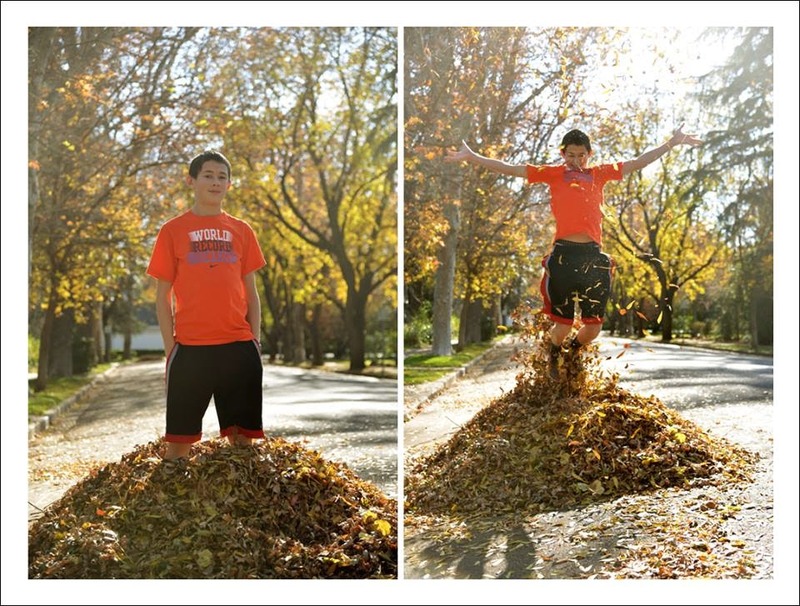 My uncle is an amazing photographer, and the kid and the mom…they’re pretty cool, too! Boy do I feel your pain. I have a a daring child, but she’s a GIRL! Yikes! That’s a really beautiful post. And that picture is just awesome!! Thanks, Margs! I claim the writing and the kid…the photo is all my uncle’s. Great shot. Great observations wonderfully written. Thank you, Alyssa! My uncle inspired me with his photo! Thanks, Kim! My uncle is an amazing photographer! Tender post. Is that really your son suspended up there?!! How did he get down!!? That photo scares me because I can see my son doing the same thing! Little boys are so fearless and yet I view them as so fragile. My little guy is growing so quickly into a little man and it is such a bittersweet process. Having a son is a challenge and can certainly be nerve-racking! But it is such a joy day in and day out. I wouldn’t change it for anything. Great post! Deep breaths, deep breaths. I have a boy and a girl, and it certainly is a beautiful gift. What a great shot but I couldn’t help but gasp a bit since it seemed he was hanging pretty high from the ground (I’m terrified of heights). And uh, I don’t know how to make lemon pasta, can he teach me? Hi Anne, gasping is part of my daily routine! And lemon pasta is pretty easy! Awesome! I feel like that when I sit back and watch my little girl doing things on her own! It’s all relative, isn’t it? Children are created to terrify their parents! So cool! I remember those days, when nothing scared you away and you would try anything! Thanks for sharing such sweet thoughts. You’re welcome. I love it when my kids remind me of my own childhood-especially the good parts! Sweetheart, fearless is putting it mildly! Thanks! I hope your week is happy, too!